21 September 2018: Contract Awarded to General Dynamics Corp. 1.) The contract option awarded to Lockheed Martin Corporation is managed by Lockheed Martin's Maritime Systems and Sensors division in Moorestown NJ. 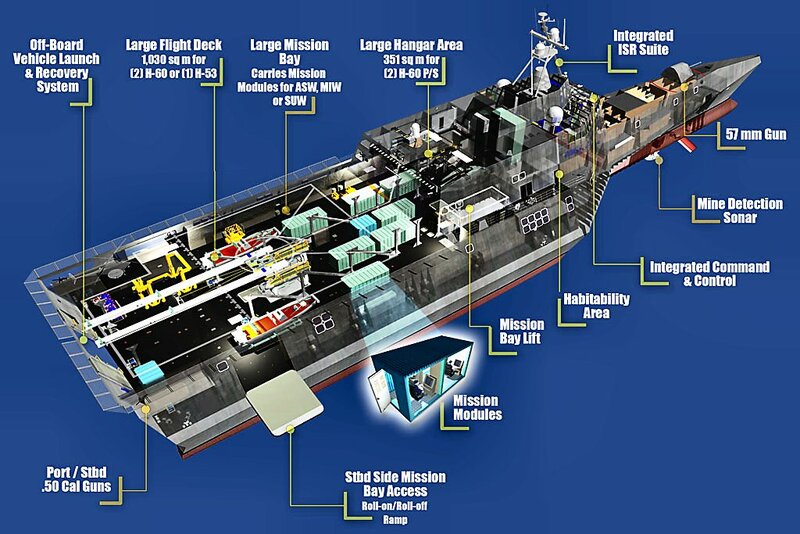 The Lockheed Martin team includes: Fincantieri Marinette Marine shipyard, Bollinger Shipyards, Gibbs and Cox naval architects, Izar of Spain and Blohm & Voss naval shipbuilders. 2.) The contract option awarded to General Dynamics is managed by Bath Iron Works at Bath, Me. The major members of General Dynamics team are: Austal USA, based in Mobile, Ala.; BAE Systems, Rockville, Md; Maritime Applied Physics Corporation, Baltimore, Md; CAE Marine Systems, Leesburg, Va.; Northrop Grumman Electronic Systems, Baltimore, Md; General Dynamics Armament and Technical Products, Burlington, Vt.; General Dynamics Electric Boat, Groton, Conn.; General Dynamics Advanced Information Systems, Washington, D.C.; and General Dynamics Canada, Ottawa, Ontario. "Augusta, The Ship" - "Augusta, The People"
492k undated: Mobile, Ala. - An aerial view of the Austal USA shipyard, the American branch of operations for Australian shipbuilder Austal. Founded in 1999 along the west bank of Blakely Island on the Mobile River in Mobile, Alabama. The shipyard was initially engaged in building high-speed aluminum ferries, such as the Lake Express for service across Lake Michigan, and the Alakai for Hawaii Superferry. Construction on the first Littoral Combat Ship of the USS Independence variant was begun in 2006. 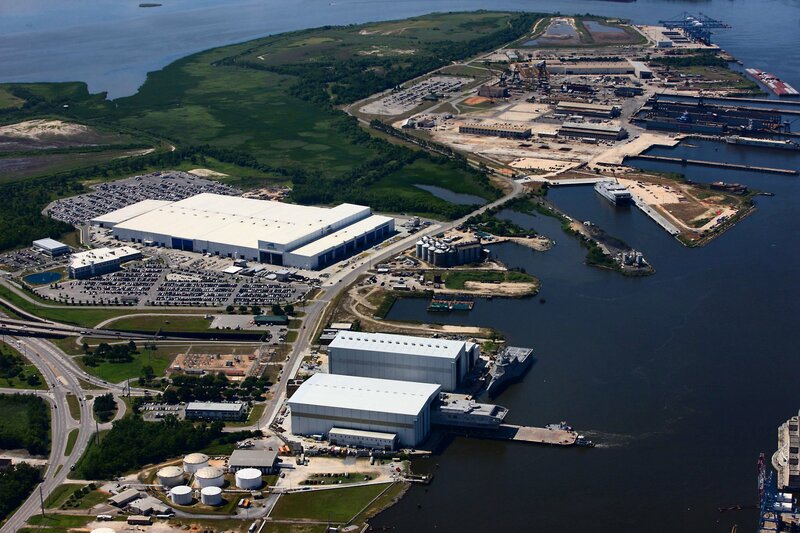 In conjunction with the General Dynamics Corp., all of the planned Independence Class LCS's will be built here.